Glimmer Train is currently accepting submissions for its Short Story Award for New Writers contest through October 31. The contest is open to writers whose fiction has not appeared in any print publication with a circulation over 5,000. Contest entries must not have appeared in any print publication. Stories submitted to this category are typically 500 to 4,000 words and should not exceed 12,000 words. 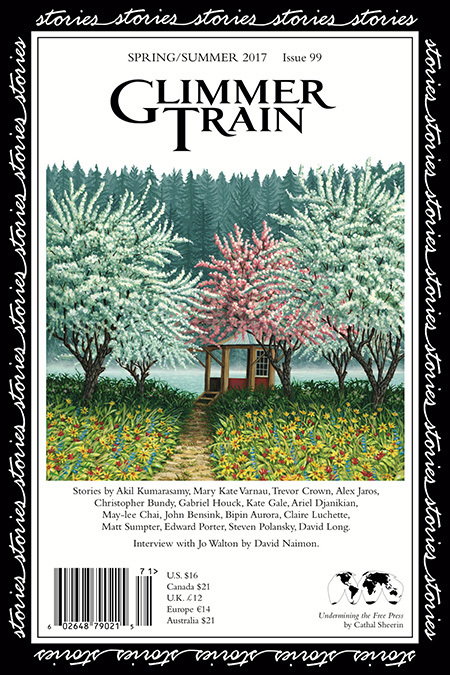 The first place winner will receive $2,500, publication in Glimmer Train Stories, and ten copies of that issue. The second and third place winners will receive $500 and $300, respectively, possible publication, and ten copies of the publication issue. Results will be announced in the January 1 bulletin. For more information or to submit your work, visit the website at http://www.glimmertrain.com. Glimmer Train is currently accepting submissions for its Short Story Award for New Writers contest through June 30. The contest is open to writers whose fiction has not appeared in any print publication with a circulation over 5,000. Contest entries must not have appeared in any print publication. Stories submitted to this category are typically 800 to 4,000 words and should not exceed 12,000 words. 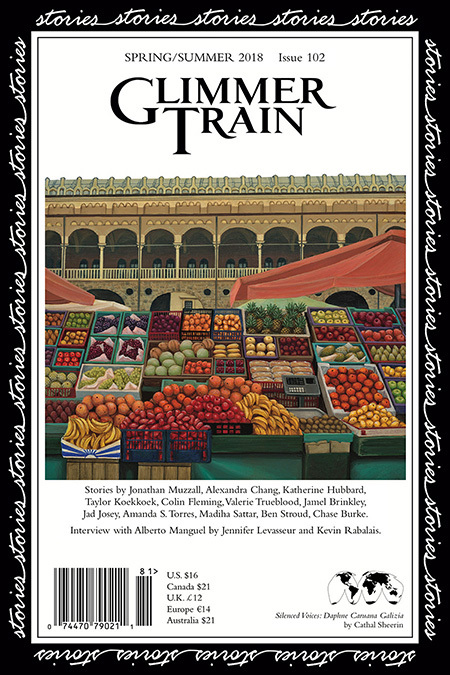 The first place winner will receive $2,500, publication in Glimmer Train Stories, and ten copies of that issue. The second and third place winners will receive $500 and $300, respectively, possible publication, and ten copies of the publication issue. Results will be announced in the September 1 bulletin. For more information or to submit your work, visit the website at http://www.glimmertrain.com. The prestigious Narrative Fall 2017 Story Contest is currently accepting fiction and nonfiction submissions through the deadline of November 30. For this award, the journal is seeking short shorts, short stories, essays, memoirs, photo essays, graphic stories, all forms of literary nonfiction, and excerpts from longer works of both fiction and nonfiction. Entries must be unpublished, not exceed 15,000 words, and not have been chosen previously as a winner, finalist, or honorable mention in another contest. A prize of $2,500 will be awarded to the winner, with prizes of $1,000 and $500 awarded to the second and third place winners, respectively. An additional ten finalists will receive $100 each, and all entries will be considered for publication. All entries are also eligible for the $4,000 Narrative Prize and acceptance as a Story of the Week. Prior winners and finalists in Narrative contests have gone on to be recognized in prize collections, including The Pushcart Prize – Best of the Small Presses series, The Best American Short Stories anthologies, the Atlantic Book Awards, and others. 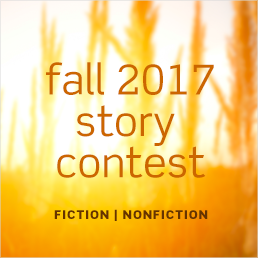 For more information and to submit online, visit the website at http://www.narrativemagazine.com/fall-2017-story-contest. 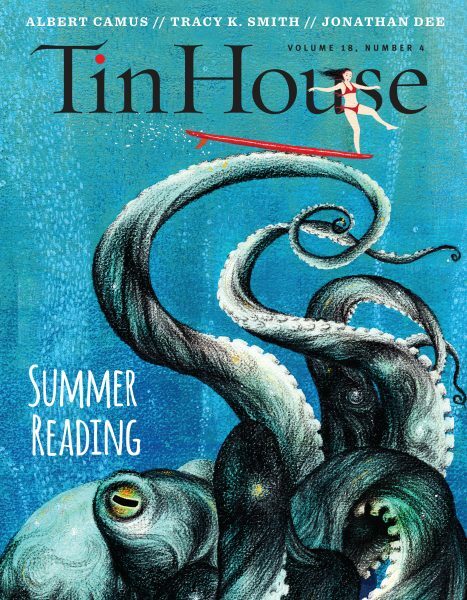 Tin House is currently reading for its themed Spring 2018 issue on Candy and its non-themed Summer 2018 issue. For the spring issue, the journal is seeking fiction, poetry, interviews, essays, and memoirs that deal with “that sweet thing you crave that also may be ruining your life.” The editors are looking for any and every angle on a topic and love to be surprised. The online submission deadline for both issues is September 30. Prose submissions should not exceed 10,000 words, and poetry submissions should not exceed five poems. Multiple submissions are not accepted. Simultaneous submissions are permitted; however, only previously unpublished work will be considered for publication. Since its creation in 1999, Tin House has been committed to showcasing the work of an undiscovered author or poet in every issue. For more information and to submit online, visit the website at https://tinhouse.submittable.com/submit. Ruminate Magazine is pleased to announce its annual VanderMey Nonfiction Prize and is accepting all forms of creative nonfiction of up to 5,500 words through November 15. A prize of $1,500 will be awarded to the winner, and both the winning and first runner-up stories will be published in the journal. The entry fee is $20 and includes a copy of Ruminate. There is no limit on the number of entries per person. All entrants will be notified about their submission status in January 2018. 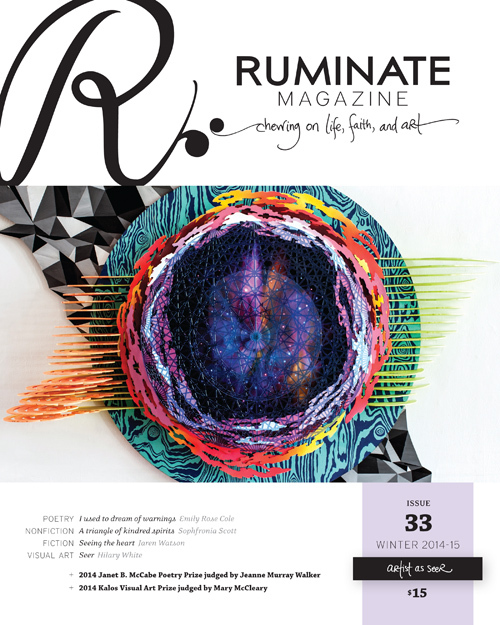 Ruminate is a quarterly Christian literary and arts journal of short stories, poetry, creative nonfiction, and visual art that “speaks to the existence of our daily lives while nudging us toward a greater hope.” For more information or to submit your work, visit the website at http://www.ruminatemagazine.com. Narrative Magazine is currently accepting fiction, nonfiction, and poetry submissions for its prestigious $4,000 Narrative Prize through the deadline of June 15. For this award, the journal is seeking short stories, novel excerpts, poems, one-act plays, graphic stories, and works of literary nonfiction by new and emerging writers. Entries must be unpublished, not exceed 15,000 words, and not have been chosen previously as a winner, finalist, or honorable mention in another contest. A prize of $4,000 will be awarded to the winner in October. Prior winners and finalists in Narrative contests have gone on to be recognized in prize collections, including The Pushcart Prize – Best of the Small Presses series, The Best American Short Stories and Nonrequired Reading anthologies, the Atlantic Book Awards, and others. For more information and to submit online, visit the website at http://www.narrativemagazine.com/node/421. Glimmer Train’s April Fiction Open is accepting fiction submissions between 3,000 and 20,000 words until midnight (PST) on April 30, 2017. This biannual opportunity is open to all writers and all subjects and themes. Unpublished novel excerpts are considered, provided they feel like complete stories. Up to four multiple submissions are also accepted. The reading fee for each submission is $21. 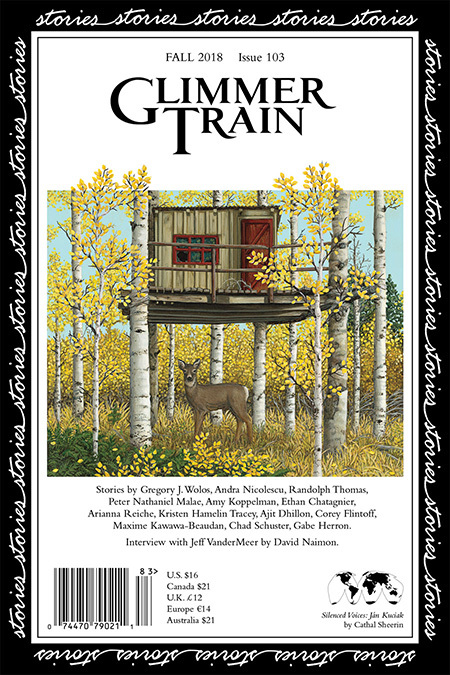 The first place winner will receive $3,000, publication in Glimmer Train Stories, and ten copies of that issue. The second and third place winners will receive $1,000 and $600, respectively. Results will be announced on July 1. For more information or to submit your work, visit the website at http://www.glimmertrain.com/pages/guidelines/fiction_open_guidelines.php.